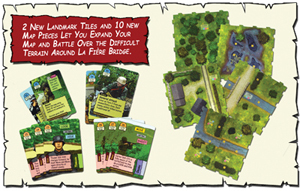 The war rages across Normandy with the "La Fière Bridge" expansion. 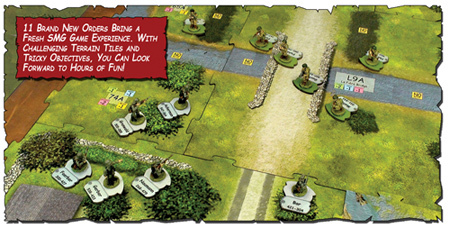 The story continues with fourteen new scenarios and map pieces. An all new story deck includes People cards featuring Carter and Thielen from the Day of Days starter set. The new missions introduce difficult terrain with extensive cover. 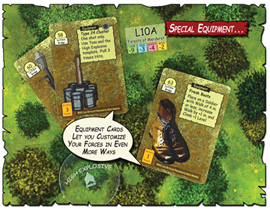 The heavily wooded terrain and flooded fields slow movement and challenges the approach move to objectives. 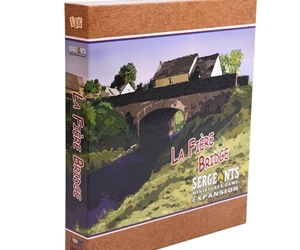 The La Fière Bridge and La Fière Bridge Manior are a challenging pair of Landmarks to control.